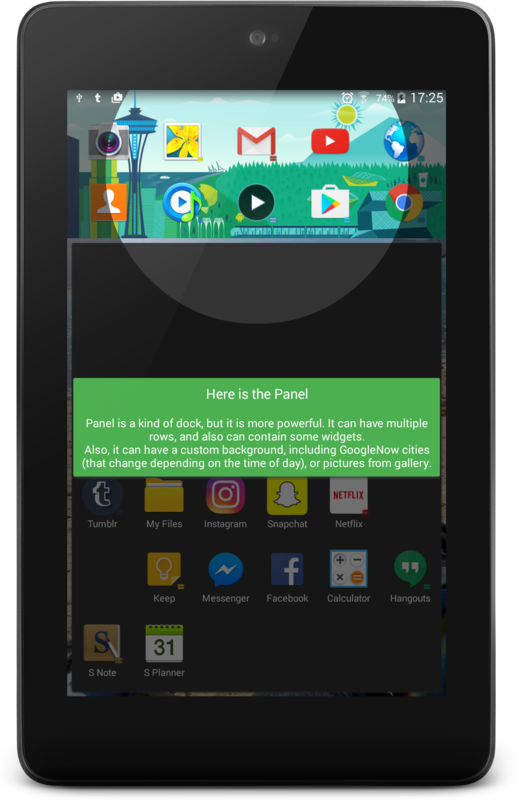 Cling is a library that allows you to create overlays that will allow the user to be informed of how your application works. There is already a bunch of libraries to do that, but I wanted a simple and light library that do this quickly, simply and fastly. And also without creating a Bitmap of the size of the screen ! You can display one unique overlay or sequence of overlays. Overlays are represented by Cling objects. Clings point to a Target, if Target isn't Target.NONE, the overlay will have a hole just on the provided Target. This allows user to focus on the ui element you want to describe. Clings are managed through ClingManager class. // so it can perform the default action (ie. showing the next Cling). // in a real project, we would just leave this method unoverriden. // Last Cling has been shown, tutorial is ended.